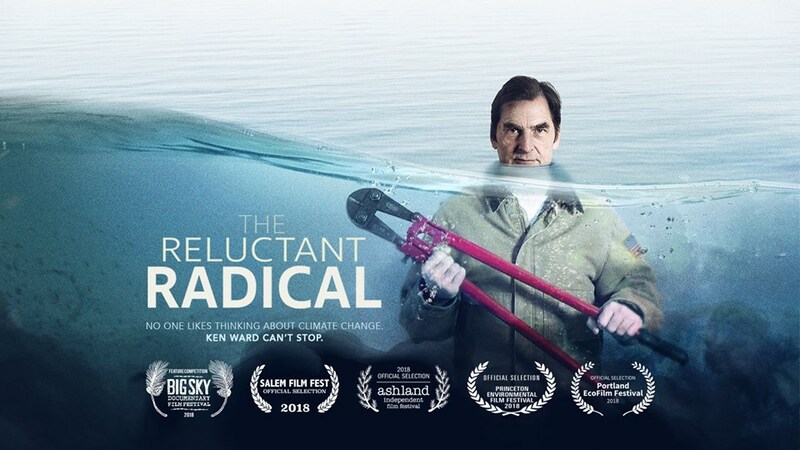 It follows Ken Ward’s challenges and the emotional resilience required to stand in the way of such a massive industry. And the costs. For many they are large – people who one day were living a peaceful life in Broome, and then thrown head first into a campaign that subsumed years of their lives and eventually stopped a massive gas refinery. Or farmers living in NSW or VIC who had never had a parking ticket before, yet find themselves pole vaulting out of their comfort zone, to lock themselves to gates to protect water and fertile land for food. Yet as we see the IPCC report released this week that calls for an end to coal worldwide by 2050 if we are to even have a hope of staying under 1.5 degrees warming… and therefore allow our Pacific neighbours to not lose their homelands, how is it that people like Ken Ward, or these farmers, or the folk who locked to Adani’s coal port, are considered to be the unreasonable ones? They are taking action commensurate with the emergency and risk. Action that matches the urgency. We believe this is necessary and its why we do what we do – support communities to take safe and effective and *strategic* action to defend the environment. But, as mentioned the film talks about the costs, and the grief that comes with climate change that so many people are experiencing now. Whilst we find that action is the antidote to despair we also need to acknowledge and live through that despair, to find hope, or at least a sense of purpose within it all. We are speaking on a panel with Audrey, a dynamo grandma from Stop Adani Melbourne who locked herself to a fence. You can read more about this “chill activist grandma” and we encourage you to get involved with Stop Adani, Tipping Point or Frontline Action on Coal – who are working at the literal frontlines to stop the coal expansion in Queensland and around the country with blockades and creative non-violent actions. You can contact us and sign up for training if you’d like to deepen your activism and get involved with these groups, as well as check out our resources pages if you want to DIY some fun and creative actions. And you can check out the Psychologists for a Safe Climate, and some resources from the Australian Psychological Society re climate grief here. Their resources include how to talk to children about climate change, as well as a booklet for Climate Change empowerment and they also have practitioners willing to offer short sessions for free for people struggling with this – a wonderful contribution! You can also find more general resources from our excellent friends at Plan to Thrive who write about sustainable activism and burn out. No matter your experience – there is a place for you in the climate justice movement – get involved, and look after yourself at the same time!